Proponents push tort reform as a silver bullet that will supposedly reign in medical costs, insurance premiums, and even improve the quality of care by allowing doctors to practice without fear, particularly by decreasing the number of unnecessary tests. However, the truth is that the impact of medical malpractice suits on health care spending is so small, the effects would be negligible. According to a report from the Center for Progressive Reform (CPR), the cost of defending medical malpractice suits and paying injured victims comes to less than 0.3 percent of total healthcare spending. This advocacy group also explains that tort reform would actually do very little to decrease the number of excessive tests and procedures patients undergo, which has been pegged as a major culprit. This excessive testing would not end with tort reform for a number of reasons, putting to rest the “defensive medicine” argument. Some of the reasons excessive testing will not be affected by tort reform include patient demand due to medical advertising, family pressure, the availability of newer technologies, and a desire to maintain positive doctor-patient relationship. [I]gnore or obscure the real drivers of rising medical costs, including the high costs of prescription drugs; the high demand for, and increasing use of, state-of-the-art technology; the growing incidence of chronic diseases; and an aging population that lives longer and consumes more medical care. In addition, increasing numbers of doctors appear to be referring patients for additional tests, which may or may not be necessary, to clinics they have a financial interest in. These self-referrals offer a tempting and lucrative revenue stream which has not been a major part of the unnecessary testing debate. If there is a problem with excessive testing among doctors, defensive medicine does not appear to be the likeliest culprit, particularly because statistics show most doctors will only face one medical malpractice claim throughout their entire career. What tort reform would impact is the ability of the hundreds of thousands of patients killed or injured each year to receive the compensation they deserve and need. As the CPR report explains, “[a]llowing civil justice opponents to pretend that constraining the civil justice system equates to meaningful health care reform distracts us from doing the things that must be done to fix the system.” This includes addressing the preventable medical errors that kill 98,000 patients each year. 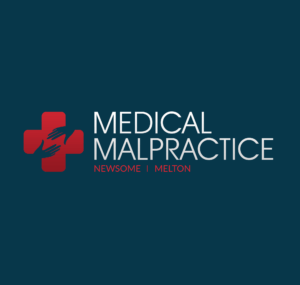 One recent example of a patient who was the victim of medical malpractice, followed by unfair legislation designed to serve insurance companies, was recently reported by the Palo Alto Online. Robyn Frankel, a mother of two, underwent a procedure to discover the causes of her migraines back in 2006. Frankel suffered a stroke during the procedure she underwent, which was called not medically necessary by expert witnesses. She now has annual healthcare costs of $300,000 to $350,000 due to the around-the-clock care she requires after being left with severe paralysis. The jury found that her doctors failed to warn her of the invasiveness and risk of the procedure. Although she was awarded $6 million in pain and suffering for her injuries, California law caps pain and suffering awards at $250,000. That means that all the past, present, and future pain and suffering this 43-year-old mother, or any patient in California, will endure only comes to a quarter of a million dollars. Allowing tort reform that resembles this California act to pass would do little to impact the preventable injuries that strike so many patients each year. Furthermore, the passage of legislation protecting doctors would only result in these negligible savings entering the pockets of insurance companies, submitting truly injured patients and their families to similar a fate as Frankel.